The Tecnifibre mens fleece hoody is perfect for warm-ups and cool-downs and offers a cosy, loose fit to provide an increased range of motion when training or heading to the courts. A hood with contrast lining protects you against wind on colder days and there is a cord system for a snug, adjustable fit. 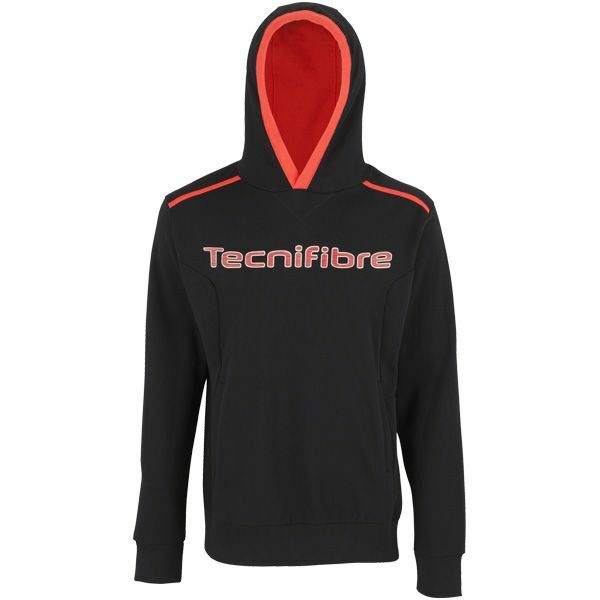 This long-sleeved hoody is comfortable and soft-to-touch and has a large Tecnifibre logo on the chest. It features practical side pockets and the elasticated cuffs and waist reduce the cold getting in. for submitting product review about Tecnifibre Mens Fleece Hoody.